Nike is a brand you've been hearing about for years. They are a brand easily recognizable by a simple check mark. They've been promoted by big names in the sports industry, including Michael Jordan. But who is Nike, and why should you consider purchasing Nike compression socks? Here are your answers. Why Pick Nike Over the Other Choices? 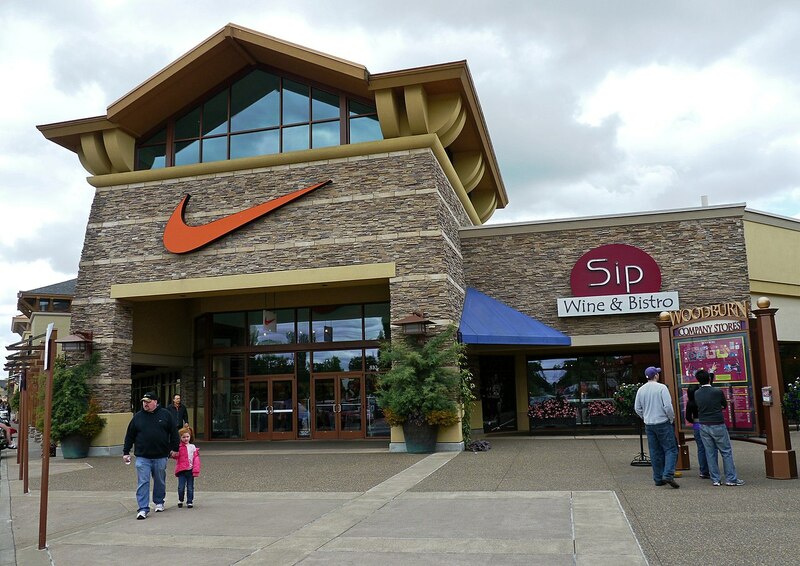 Nike is a US company based in Beaverton, Oregon. The company owns more than just the Nike name. Other brands under their umbrella include Hurley, Jordan, and Converse. 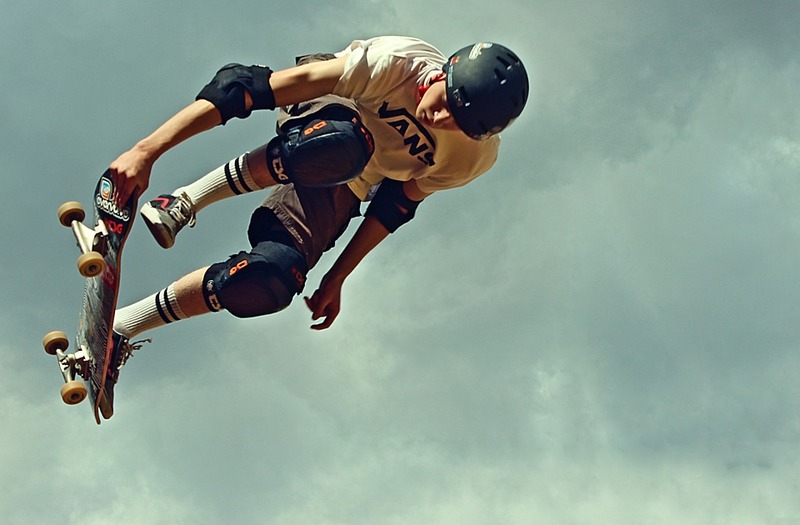 Nike is a huge company that covers a global market when it comes to sportswear. They're innovative, and they care about the environment. Known as a sustainably minded company that is continually improving its products, it makes sense that you'd want to consider buying Nike compression socks to add to your sports wardrobe. Compression socks, and socks with compression points within, do a lot of good things for the health of your feet and your blood flow, helping prevent thrombosis and blood clots, among other things. They keep blood flowing, and circulation going, so you suffer less pain even when you're doing a lot of working out or running. While compression socks are popular with runners and professional athletes, you don't have to be either of these to benefit from wearing these specialty socks. These socks give you a lot of extra support, even if you're wearing them for your walk or yoga workout. They compress your muscles to assist with blood flow and to keep you from injuring yourself. They also help prevent muscle fatigue, which is why they are a must-have for running. People who wear compression socks report having fewer injuries and less pain, even after intense workouts. They can exercise longer, and they help you recover faster after you're done working out. Nike creates socks that contour your feet, for an anatomically correct fit. This individual fit makes them better for your feet. It also means that the right sock has to go on the right foot, and vice versa. Here is a look at the compression socks offered by Nike. One of the three pairs is advertised as a compression sock, the others have the components as well, even if their names don't show it. Graduated compression for the support you need, where you need it. Wicks away sweat to keep feet feeling dry and fresh. Nike's Elite Lightweight Compression Over-The-Calf Running Socks have a snug fit that stays in place. That's one of the important things about compression socks – they don't move around like other socks, so they aren't putting you at risk for blisters and extra pain and sensitivity. If you've ever suffered from blisters on your feet, whether it was on your heels or toes, you know that they hurt and can set you back for days when it comes to your fitness plan. These socks are also made with sweat-wicking Dri-FIT fabric. 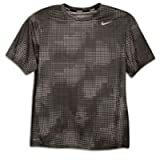 It wicks away the moisture, keeping down bacteria and odor, and keeping your feet dry and cool while you're working out. Another thing keeping your feet cool when you wear these Nike compression socks are the mesh panels which allow for plenty of ventilation. If you're going to be running at dusk, these $50-socks are well worth the investment with the addition of reflective details. You will still be seen in low light so that you can feel safe on your jog home. Nike's Elite Over-The-Calf Running Socks may not be labeled as compression socks, but they do offer a compression design that ensures runners feet stay safe and don't get fatigued before the run is over. No worries about stinky, sweaty feet with these socks either. Nike knows what runners need and want in a good running sock, so they included their Dri-FIT technology in this pair of socks as well. They are also anatomically fitted. Not only do they have zoned compression for your feet and calves, but they also have cushioning in all the right places. This offers even more support for your feet while running. For $50, you can be assured you are investing in a pair of socks that will go the distance. They also include reflective details to keep you safe when running in low light. Whether you're running or playing, these ultimate grip socks offer you maximum speed, with all of the benefits of compression socks (as well as the key ingredients to make them a must-have pair of socks for any sport or fitness hobby). The bonus of the NikeGrip sock is that it keeps you on track even when it's wet out. Running in the rain? Even if your shoes leak, you're still going to keep your traction and not slip around inside your shoes. It's the specialized yarns in the design that give these socks their grip. They also have a heel lock system. The socks contour to the shape of your foot. They have cushioning to relieve pressure, so you stay on the move. The NikeGrip socks still have an anatomical fit and Dri-FIT technology, so you know your feet will stay dry and your socks will always fit perfectly. You get all of these maximized benefits for only $36 a pair. You do if you're serious about fitness. While there are many brands of compression socks out there that are marketed to the general public, Nike compression socks are marketed to serious athletes. Nike manufactures top of the line socks that you would want if you're a professional playing sports or you're running a few marathons a year. These socks are created to increase sports performance. They promote fast recovery after a run, a game, or even an intense workout. Even if you're not a pro runner or a paid athlete, that doesn't mean you can't try them out even if you're just looking for some socks to keep you on your feet during your work as a nurse, retail salesperson, or any other job that has you standing and walking for eight or more hours a day. Nike compression socks may not be for everyone. They have a decent price tag on them, affordable but high compared to some other compression socks that work just as well. If you want some socks that are more targeted toward the general public, here are some brands that are comparable to Nike when it comes to making compression socks that fit well and keep your feet safe. 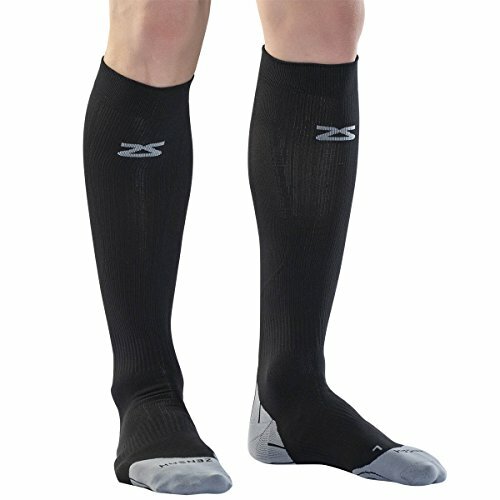 If you want some compression socks that look like everyday socks, but do far more for you, Sockwell has the compression socks for you. These socks come in great colors and designs, so when you're wearing them on long flights, they don't make you look like a fitness addict. Made from Merino Wool, Bamboo Rayon, Stretch Nylon, and Spandex, these socks have all the raw materials they need to work well on long flights and long runs. Made in the U.S., these firm compression socks offer graduated compression, and they are great for everyday wear, even if you'll have them on for the entire day. They protect your legs from blood clots even while you're sitting at a desk for eights hours or more. If you suffer from swelling feet, these socks will help you. They also help reduce foot fatigue when you're on your feet all day. They improve circulation. Just like the Nike socks, these socks are made to fit and stay in place. They mold to your body, so each time you put them on they fit the same. They have light cushioning in the sole, for maximum comfort. These socks also offer a reinforced toe and heel box, which helps keep your sock in the same place no matter how much running you're doing. Made for men's sizes, these socks cost around $25 a pair – a great price for socks that have a variety of uses and could save your life. Made in Italy, these compression socks have a lot to offer. They also come in an array of bright and toned-down colors for you to choose from. Pick something that stands out for running outdoors, or something a little more subdued for wearing on long flights. These compression socks by Zansah Tech+ work to protect your feet, ankles, and calves. They are long, and still they’re able to manage to stay in place. The seamless toe keeps you from getting blisters, while you get a perfect fit with the anatomically correct design (just make sure you put the right sock on the right foot). Zensah Fabric is lightweight and wicks moisture away from the skin. It also has the ability to regulate temperature, so you don't have to worry about your feet feeling too hot while you're running. Graduated compression protects your entire lower leg, while ultra-zone ribbing adds arch support. Whether you travel a lot, like to run, or you're just into fitness for fun and health, these socks are a great choice, especially at $30 to $60 a pair. They are made with quality materials that promise durability. These are some socks perfect for winter performing athletes. If you noticed that your normal compression socks just aren't keeping your feet warm enough, these are the socks you'll want to purchase. You may want to have a pair of these on hand as well as your normal brand or style. Like the Nike socks, and the rest of the socks mentioned, these offer graduated compression. 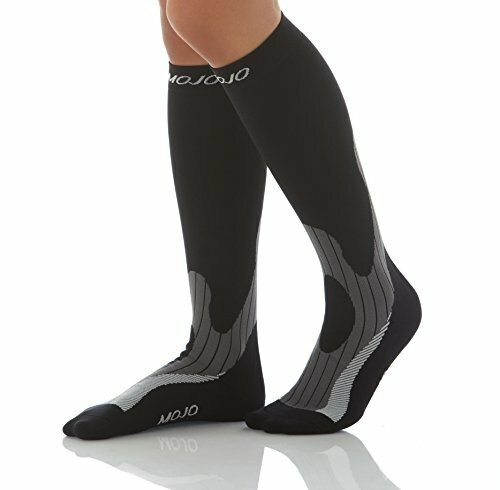 The MoJo​​ Elite offers all of the other great things you expect from compression socks, plus warmer feet protected from frostbite. Flat seams, Achilles support, and a ventilation panel are just a few of the things offered with this sock. The MoJo Elite also has four Flex zones, which allow for enhanced mobility, as well as a two-way stretch for enhanced flexibility. No matter what brand you're considering, Nike or otherwise, make sure you check out as many reviews as possible. This research will help you find out if there are any issues with sizing or fit. Don't just read one or two reviews. Take a look at the good reviews and the bad ones. Take advice when it comes to size issues, to save yourself from needing to make an exchange. Even with companies you can trust, you still want to know what other people have personally experienced. The Nike name alone may be enough for some people to pick these socks over anything else. The Nike compression sock options also offer a “Y” stitch design that provides more comfort and keeps the socks in place. You can expect great performance from these socks, which makes them worth the price. However, if you're not an avid runner or a professional athlete, these may be more than you need. Best Compression Socks For Running CEP Compression Socks Review – Gives Comfort Copper Fit Compression Socks Review And Its Unique Features You Need These Socks For Your Workout–Here’s Why!